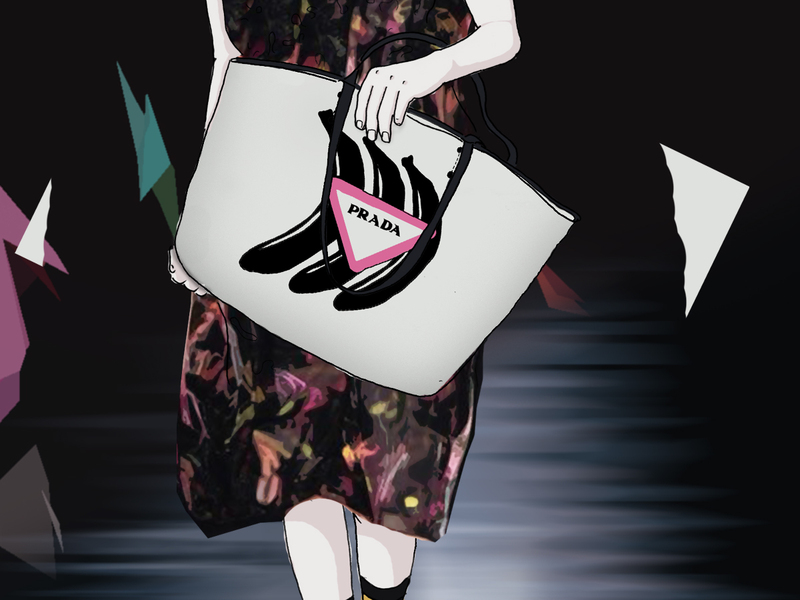 Prada’s Fall-Winter 2018 collection saw the revival of some of the label’s familiar icons, such as the fiery red flames and bananas. It also saw the introduction of their ‘PR’ logo, with even more icons expounded further in the RTW show for women in the following month. And because bags are a key pillar over at the Italian luxury house, this new one, known as the Canapa Tote Bag, deserves a second look after they first made their debut coming down the runway clutched in the models’ hands. 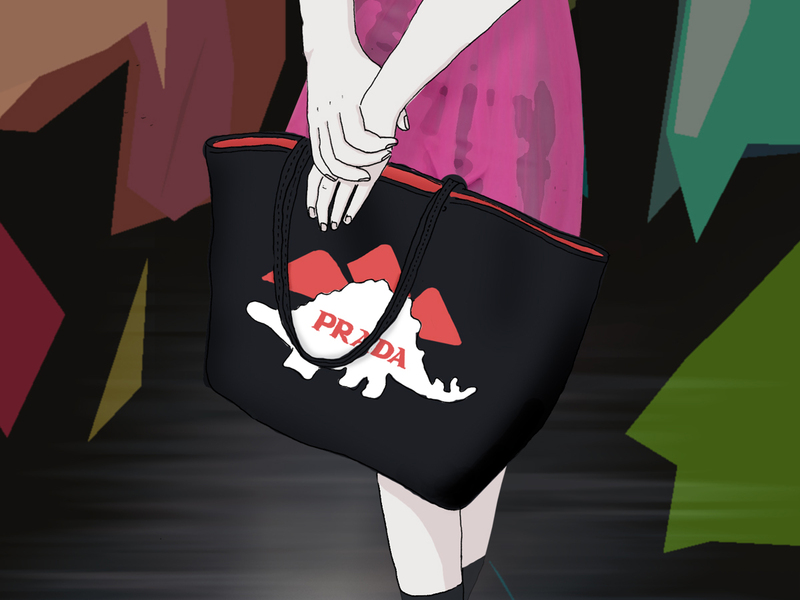 Made primarily of canapa (a kind of textile fibre) that is silkscreened with Prada’s most familiar icons, the 3 in focus today comprise totes printed with a trio of bananas, a dinosaur and a robot (Edward, is that you?). Available in black or white depending on which design you pick, they also come contrasted on the inside for that extra pop of colour. Measuring 35 cm wide and 26.5 cm high, this is roomy without being overly huge. The only downside? This tote doesn’t come with a top zip, which could be an issue for some, but that’s the whole point of carrying a tote around anyway, with a wide opening to allow for easy access within. 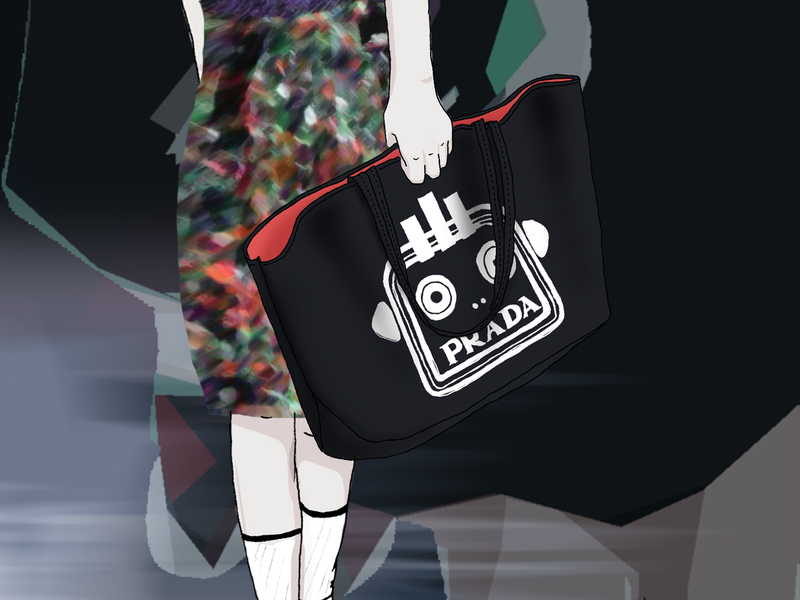 Priced at SGD1730, you’ll also be pleased to know that these totes will be released today across all Prada boutiques in Singapore. In other words, #happyshopping.